Juicy Top front 4, a photo by tygger428 on Flickr. 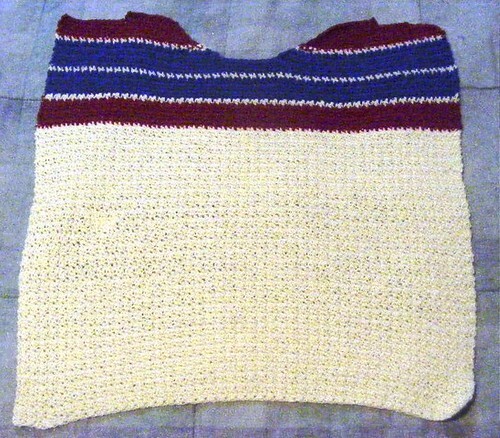 I’ve been crocheting away on this since July 10th and finally, I have the front piece done. The pattern is in the July/August 2013 issue of Crochet Today magazine. It is a Shibaguyz Designs pattern, a two guy design team, one is the crochet designer, the other is the photographer.